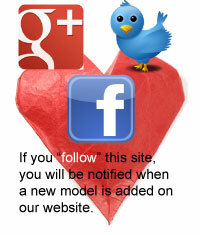 You can learn to make various kinds of origami shirt here. 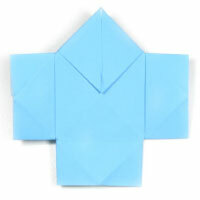 This traditional easy paper shirt is very similar to traditional origami chair. You will need to apply a cushion-fold for three times after turning the paper over for each cushion-fold. 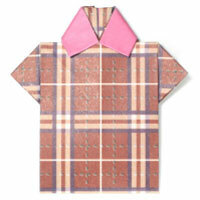 This traditional origami shirt starts with a half of a square paper. One special folding technique you would learn from this model is a special two squash-folds.